The booing at half-time was redolent of the last time he took charge of a side at the national stadium. By full-time, however, Craig Levein seemed back in control of his own destiny. Hearts are back in a Scottish Cup final for the fourth time since the emotional win of 1998. It seemed an especially sweet moment for Levein. Seeing him patrol this particular stretch of touchline kindled memories of another time. The last occasion he did so was in the dying days of his tenure as Scotland manager. A 1-1 draw at home against Macedonia in September 2012 put him under further pressure and he lasted another two games, defeats in Belgium and Wales. Over six-and-a-half-years later, Levein has found some Hampden closure. While supremely welcome, Saturday’s deserved victory will be dwarfed in significance if he lifts the first major silverware of his career on 25 May, five years after originally returning to Hearts in the director of football role. It has not always been easy. There’s even been risk to his health. It’s easy to forget amid the speculation over his future at Hearts that he suffered a heart attack just weeks into a season that could end so momentously for him and the football club he adores. Adding further poignancy to the occasion on Saturday was the man in the opposite technical area, dressed in v-neck sweater and jeans. Levein kissed John Robertson on the head afterwards and the former long-time team-mates shared some words. It’s not impertinent to guess at what Robertson told him, which was likely “now bring the trophy home” or a variant of it. There will be many neutrals who share the Gorgie legend’s sentiments. This was set up to be a difficult assignment for Levein, who, as well as being under pressure, was up against a hugely popular Tynecastle old boy. Many Hearts supporters would be happy to see Robertson charge of their team and, while Levein remains unhonoured in song, it seemed pointed that the Inverness manager featured in choruses from the maroon sections at Hampden. It certainly wasn’t looking good for the current manager at around 1pm. Not for the first time this season Levein’s team left the field to jeers after an insipid first-half. Few Hearts fans could say in all truthfulness they were not worried. Even as late as the hour mark, with Hearts a goal up after Uche Ikpeazu’s strike following Olly Lee’s short corner to Jake Mulraney, Inverness looked as though they were still very much in the tie. The Highlanders had already managed to restrict their opponents to very little in the opening 45 minutes. Hearts’ normally productive set-pieces were not hitting the mark. The first “Levein, are you watching this? !” screech was clocked around ten minutes in. In the final analysis, Inverness lacked the required cutting edge to stage a shock. But they will point to a game-changing save from Zdenek Zlamal, who tipped Joe Chalmers’ free-kick on to the crossbar, with the score just 1-0 and an artfully finished goal that was chopped off for offside from Jamie McCart. Replays suggested Hearts winger Mulraney had in fact tackled the ball into McCart’s path when challenging Chalmers, meaning the defender was onside when scoring. John Souttar’s far-post finish and a penalty from substitute Sean Clare within eight second-half minutes changed the complexion and provided Levein with some comfort. 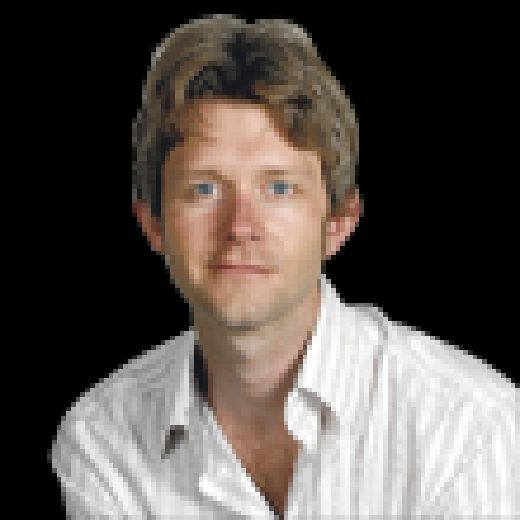 If luck deserted Hearts against Hibernian seven days previously, it was on their side on Saturday, but they will note, probably rightly, they did not need it. However, it’s likely some fortune will be required if they are to repeat their 1956 Scottish Cup final win over Celtic next month. Not that being written-off is the worst thing to happen. 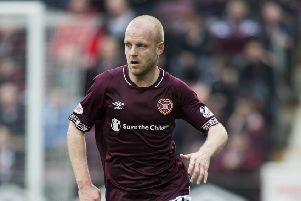 Midfielder Peter Haring claimed the groundswell of opinion that Inverness would make life difficult for Hearts in Saturday’s semi-final served as extra motivation to reach the final. “Last week was tough,” he said. “We lost the derby but I don’t think we deserved it, so it was even harder for us. He did stress that no-one should need any extra incentive to reach a Scottish Cup final. All they need to do is study the photographs and watch the videos of previous Hearts victories. 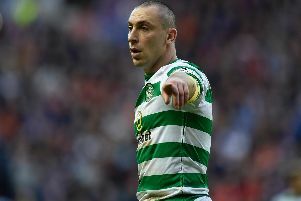 Ending Celtic’s triple treble dream while at the same time providing a manager so inextricably linked to Hearts with a maiden trophy might not surpass thrashing Hibs seven years ago, but it would rank pretty close.